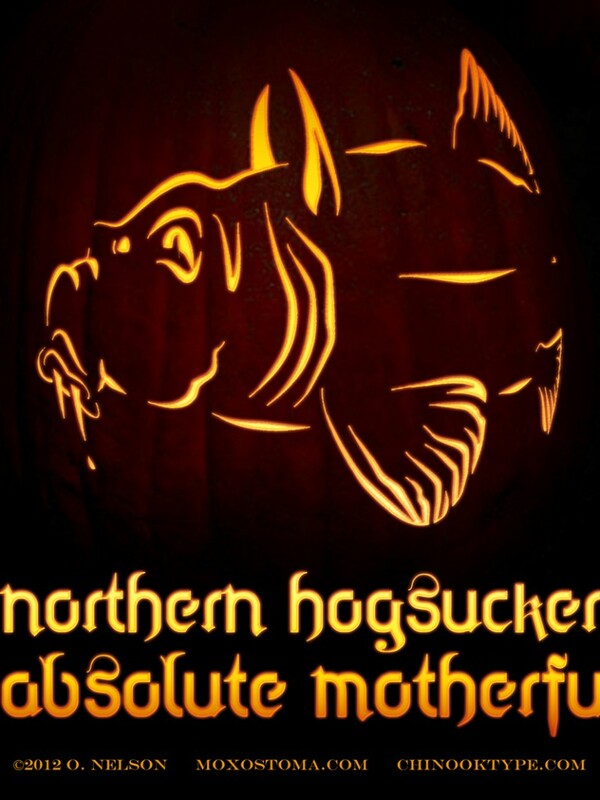 A few years ago, I created (in photoshop, not pumpkin flesh) a Norther Hog Sucker jack-o-lantern. I’ve felt like a bad person ever since, knowing that a real fish geek would have carved a real fish pumpkin. No longer! This year I bought a pumpkin with the right shape, I kept it inside so squirrels wouldn’t damage it, and I studied gar anatomy. Last night, I hooked up the electrodes to the lightning rods atop the castle and unsheathed the rusty scalpel. Alabama. It is listed as threatened in Georgia and you can’t mess with it in Alabama (see links below). With a name like that, it should be listed as threatening. Tagged alligator gar, art, fishing, gar, hogsucker, homemade, lepisosteus, longnose gar, roughfish, shortnose gar, skull. That gar lantern is so cool! I’ll have to do something like that next year.